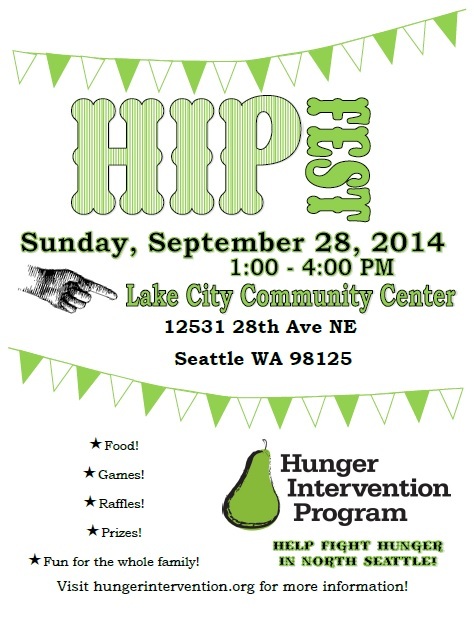 Hunger Intervention Program is hosting its first annual HIP Fest! This fun family event will take place on Sunday, September 28th from 1-4pm at the Lake City Community Center (12531 28th Ave NE) and will feature games, a raffle, a cake walk and delicious food. Admission is a suggested donation of $5 per person and will include food. Tickets can be purchased at the event for games, cake walk and raffle entries. Raffle prizes include passes to Woodland Park Zoo, EMP passes, a tour of KEXP studios, box seats to the Everett AquaSox, Two Dog Yoga classes, goodies from the Lake City Farmers Market, gift card to Kaffeeklatsch, and more. A special thank you to our sponsors – Union Bank, QFC, Lake City Lions, and North Seattle Chamber of Commerce – for their generous support of this event. All proceeds will benefit HIP’s anti-hunger work in Lake City and north Seattle area. HIP has been fighting hunger in Seattle since 1998. 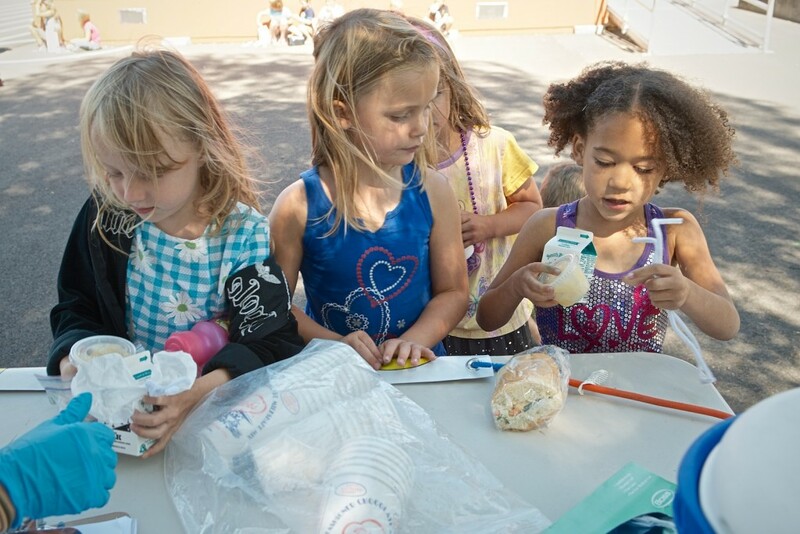 We’re actively working with our community partners to end hunger in Lake City. HIP’s staff and 90+ volunteers lead cooking demonstrations at North Helpline Food Bank each week, teaching easy and delicious recipes. During the summer you can find HIP in local parks and playgrounds serving fresh, healthy and free lunches and snacks for kids and teens. During the school year, we put together Healthy HIP Packs, a weekend food program that makes sure kids at risk of hunger at John Rogers, Viewlands, Olympic Hills and Briarcrest Elementary schools have food to eat when out of school. All year long, seniors can enjoy HIP’s nutritious weekly meal every Monday at the Lake City Community Center. This fall we’ll be partnering with the Lake City Library to offer free afterschool snacks to kids and teens in partnership with their Homework Help program. Come celebrate the start of the school year and the harvest season with your local community at HIP Fest! For more information about Hunger Intervention Program, visit www.hungerintervention.org. Interested in volunteering? All volunteers will get a super cool HIP t-shirt and our undying gratitude. Come show your support for HIP! If you are interested in volunteering for HIP Fest, sign up for a volunteer job here. Lake City-based Hunger Intervention Program (HIP) works to bring food to local families and now seniors through its Healthy HIP Packs Program, meal programs, and by advocating for our hungry neighbors.